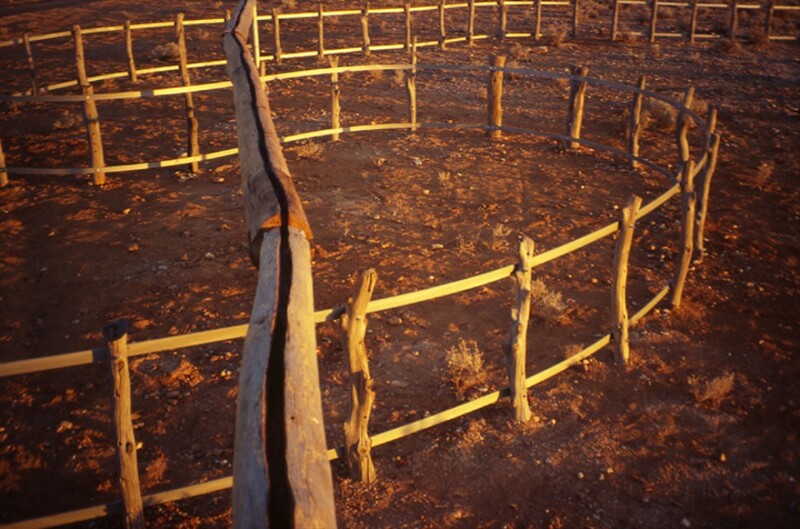 Commissioned by the Broken Hill City Gallery with NSW Ministry for the Arts City of the Arts funding, and support from the University of New South Wales, at Fowlers Gap Arid Zone Research Centre, on the Silver City Highway in outback NSW. The work is about this extraordinary place, Fowlers Gap. 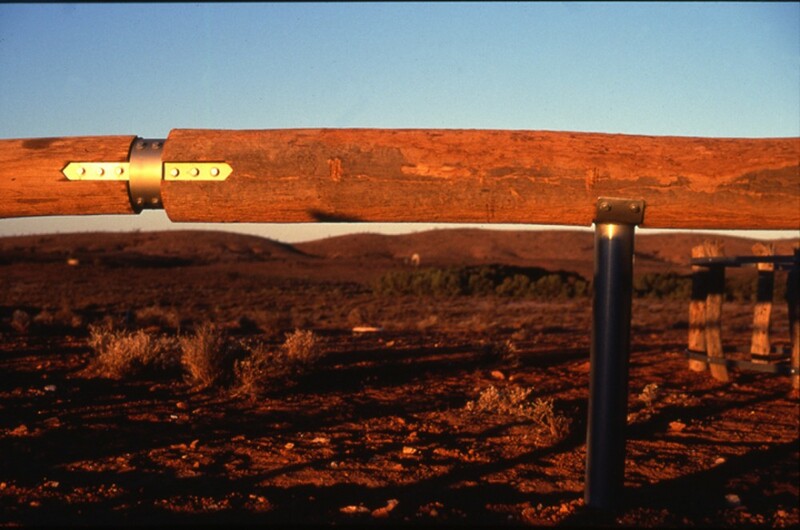 It is made from local materials – mulga posts from old fence-lines, telephone poles made redundant by solar radio phones, a redgum trunk salvaged from a power-line cutting through the creek, steel cut and drilled at a local engineering works, ochres exposed by nearby roadwork. Ancient lines of snaking creeks and footpaths, lines of lode, designs etched in rock, fences, roads, lines of communication and power; layer upon layer these lines are trodden, carved by hand or weather, surveyed, imagined, built. Technologies come, are superseded, and leave behind their tracks. 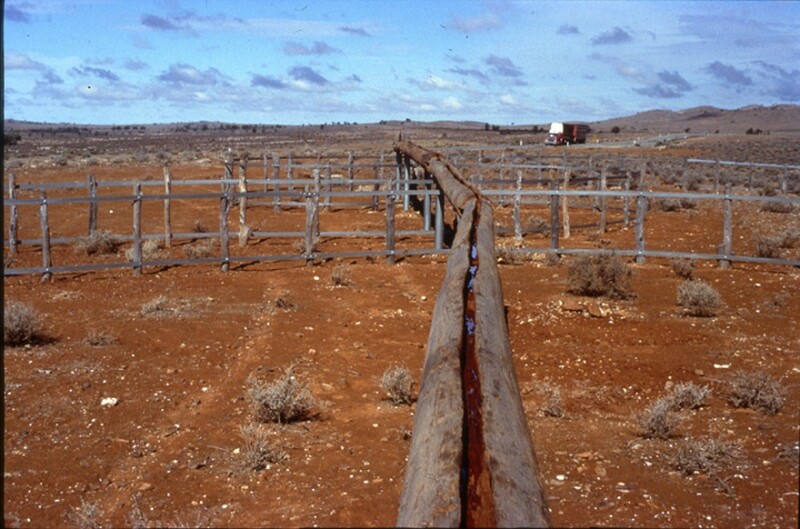 In CreekLine, the big phone poles are tilted over the meandering fence of closely planted mulga posts, as if reaching skywards for rain or bringing something up from the ground. They make a conduit between earth and sky. Forty-odd metres of these elevated poles are sliced by a crevice, a gorge, eroded by chainsaw as ground is worn by water. 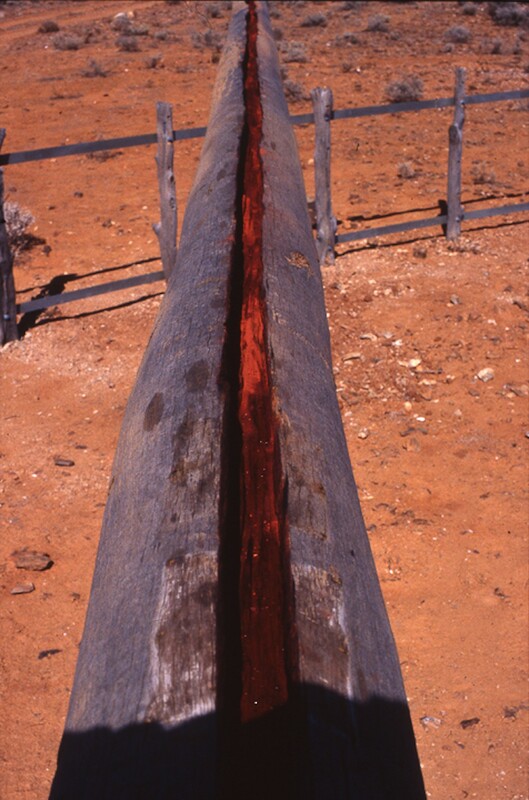 Oiled and rubbed with ochre, it is an aqueduct bearing up mineral colour from the veins of the earth. 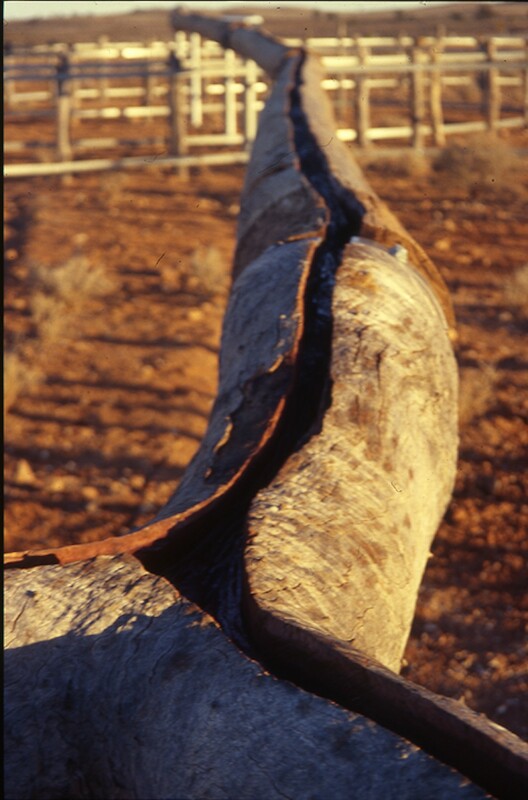 The poles cross country to meet the redgum trunk. 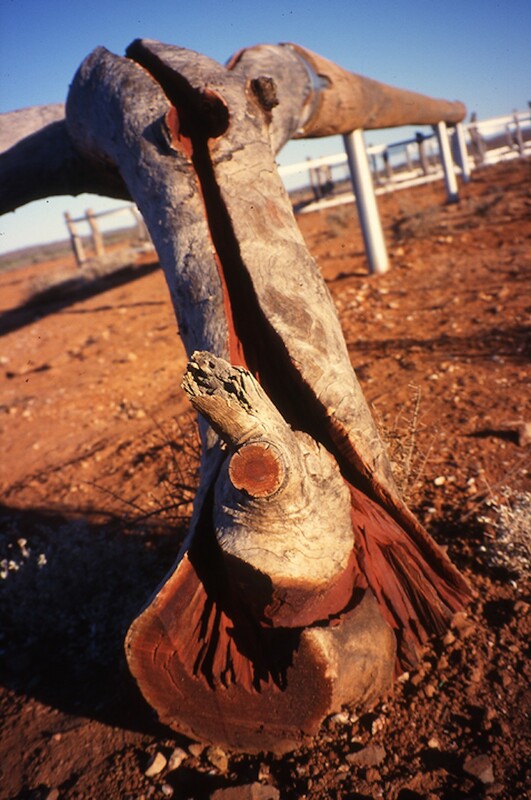 There in its descending limbs the vein of blood-red ochre branches like a flood-out of Fowlers Creek, or an inversion of the channels that bring down from the hills the land’s lifeblood, water.